Mary was a 1937 graduate of Our Lady of Mercy High School. She was a retiree of Rochester Polychrome Press. Winters were enjoyed in Florida with her second husband, James. Her hobbies included sewing, knitting, reading and playing cards. 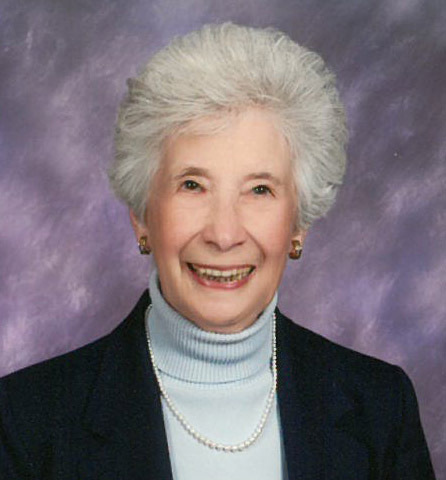 She was a member of St. John the Evangelist Church for over 68 years. For the past 13 years, Mary enjoyed independent living at the St. Johns Meadows Community. The family thanks the entire staff at Highland Hospital, Highland Hospice and the entire staff and friends at St. Johns Meadows. No prior calling. A Funeral Mass will be held on Saturday, September 29, 11 AM at Peace of Christ Parish at St. John the Evangelist Church, 553 Humbolt St. Private interment at Holy Sepulchre Cemetery. In lieu of flowers, contributions in her memory may be directed to Our Lady of Mercy School for Young Women, 1437 Blossom Rd., Rochester, NY 14610.